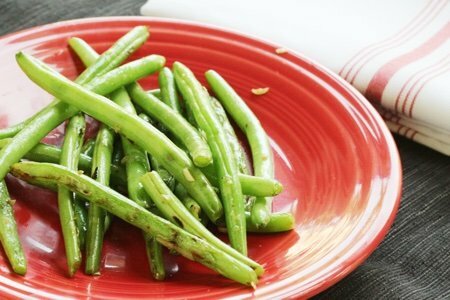 You don’t have to do anything crazy to make fresh green beans taste so good that you can’t stop eating them. That's right, these are like the Doritos of vegetables. I haven’t featured green beans as much as I should have. I spend too much time on broccoli like with my broccoli apple salad recipe. I did do a refrigerator pickled green beans recipe a couple of years ago and it is truly killer. If you have a garden overrun with green beans you should give it a try. This recipe is about not heating up your house during summer. A quick trip into the pan and these green beans are done! I like to get them even blacker than I photographed. The beans look a little sinister if you cook them until they are charred but they taste great. 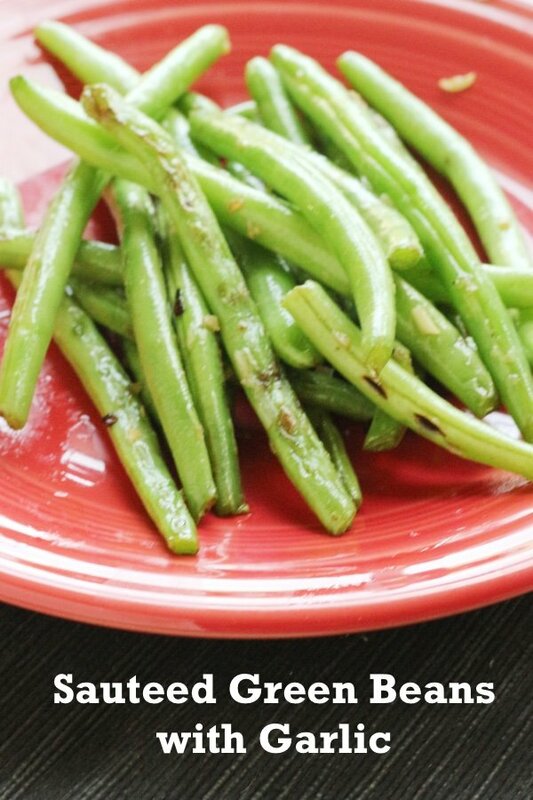 These remind me of the sautéed string beans that you can get at Chinese restaurants but mine have far less salt. Have you noticed how much sodium is in Chinese food? The minute you start adding soy sauce or hoisin the salt content goes through the roof which is probably why people love it so much. The string beans at Chinese restaurants can be deep fried quickly – which is why they look so green and yet can be so greasy. The hot pepper gives these green beans a little ZAP of flavor. You have crunchy, spicy, sweet, and garlicky – and you will eat your vegetables. Do mince your garlic before you start cooking so that you are ready (and not trying to chop and stir at the same time). I love these hot out of the pan or at room temperature. As long as the beans are fresh, there isn’t a version that I don’t like. Make a ton and serve them all week! I bet you can even get your kids to eat them if you put them on their plate (fingers crossed). 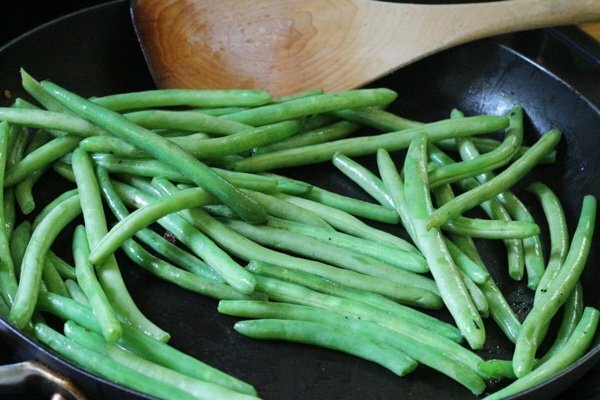 How do you cook your green beans? Heat oil and red pepper flakes in a large skillet over medium-high heat. Add green beans and stir for about five minutes until the skin blisters (or turns a little black). Add the garlic and salt and stir for another 30 seconds. This recipe is so great and so easy!! It's superb on the grill as well; get a grill basket and grill away to your heart's content! Can't wait to try this! When I was a kid, I thought I hated green beans. Then again, the only green beans I ever had were the soggy, army-green variety, straight out of the can, so can you blame me? Thanks for posting this, Lisa. This is almost how I cook green beans too. Last year our garden runneth over with so many I was blanching and freezing for weeks on end and I went to the WWW for green beans ideas. This turned out to be my favorite way, fast, easy and so fresh-tasting. The only difference as a last step is: add 2 Tablespoons water, immediately put lid on and continue to cook for 1 to 2 minutes. I love my vegs crisp-tender not overcooked but find green beans stay a smidge too hard so this last step not only softened them but kept that beautiful bright green color. 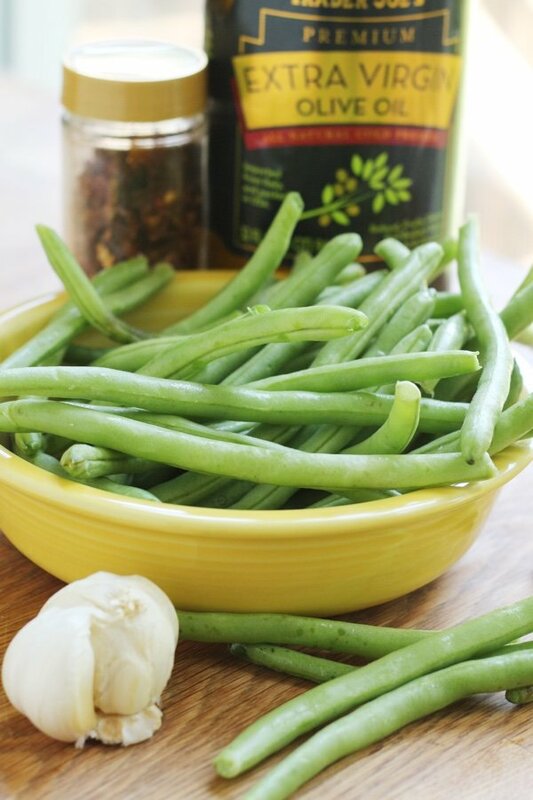 Thank you for this awesome recipe for green beans!! You are right, you can't eat just one. They are so good and so easy! I can't buy enough green beans cause we want them every night. My one son who already likes green beans, loves these but it will be interesting to see what my picky son says when he gets home. Thanks again, they are delicious! I love this recipe, as well as all I have tried from you site....I love his site, so appreciate all your hard work keeping the good recipes coming for us. Thanks so much!